In the wake of Hurricane Matthew, people in southern Haiti say there's nothing left. And the worst may still be in store: starvation, cholera, most likely more deaths. 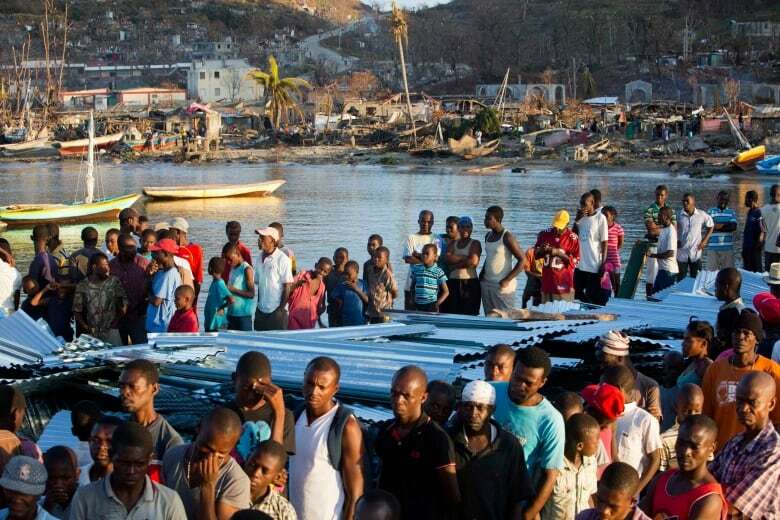 Warnings about where to donate has The Current looking into how aid is helping Haiti. 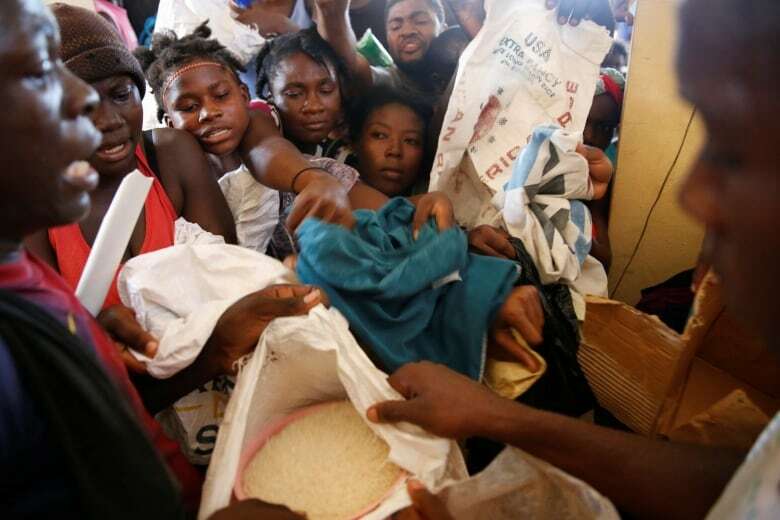 In Haiti, pleas for aid are growing louder after Hurricane Matthew has killed 1,000 people and left much of the country in unyielding devastation. And the storm's aftermath could get worse with the threat of cholera and starvation. "It's definitely not something that you can imagine," Haitian journalist Carel Pedre tells The Current's guest host Piya Chattopadhyay. "People are desperate. 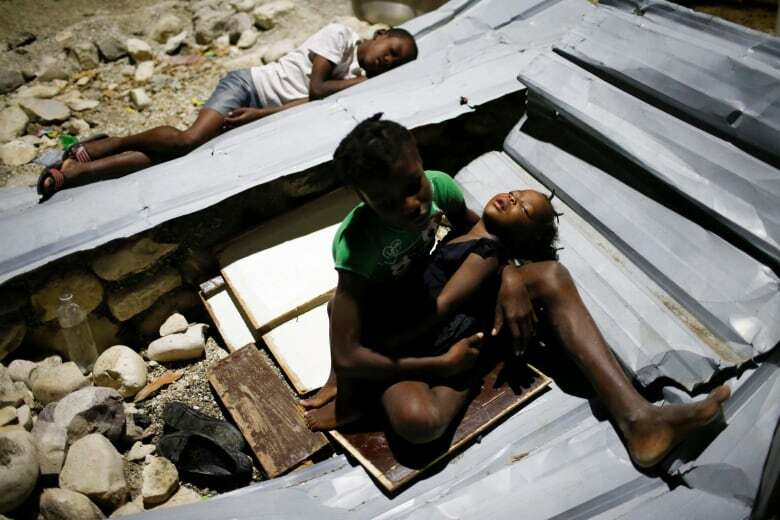 They just need food and shelter and clean water right now." Pedre just returned from the hardest hit, southern part of Haiti and says survivors are facing a bigger disaster than 2010's earthquake. He says the biggest problem is the organization of aid. "We need to know who is doing what, where, when and why," Pedre tells Chadopadhyay who says if we can't answer those questions, a bigger disaster will be the result. "We need also to think about the next three to four months. How are we going to keep feeding those people? How are we going to keep giving them hope?" Pedre hopes rebuilding Haiti will include helping people produce food, not just bringing food to the table.. While the United Nations has appealed for $119 million dollars in emergency aid, it can't arrive fast enough. And for those who want to donate, warnings on social media related to a 2015 report from ProPublica and NPR are claiming that despite raising nearly half-a-billion dollars for the 2010 Haiti earthquake relief, the American Red Cross only built six permanent homes. Other criticism include the organization's housing projects were plagued by mismanagement and a shortage of qualified staff. Hossam Elsharkawi, vice-president for International Operations at Canadian Red Cross, tells Chattopadhyay that his organization is actively responding with aid supplies in Haiti, and should not be confused with the American Red Cross. "For the Canadian Red Cross work, I can assure Canadians that the contributions, the support — now and in the past — has done a tremendous job in helping rebuild parts of Haiti." Elsharkawi was in Haiti in 2010, just days after the earthquake and says after emergency medical assistance such as food distribution and emergency shelters were provided, the Canadian Red Cross built 7,400 homes for people. He tells Chattopadhyay several hundred of the hurricane-resistance homes built survived Hurricane Matthew. The team continues to account for the remaining houses. While the Canadian Red Cross may engage in joint projects with the American Red Cross, Elsharkawi says money is not collaborated into one fund. "Because we are subject to the laws of Canada, the monies are overseen and directed by the Canadian Red Cross and by our teams on the ground." This segment was produced by The Current's Shannon Higgins and Lara O'Brien.